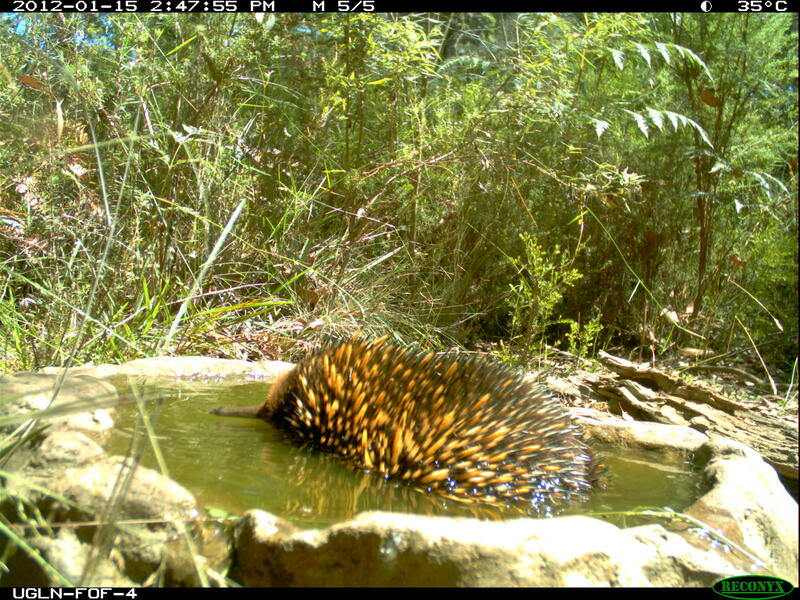 Continuing the saga of bird-baths, we received these unusual pictures of a Short-beaked Echidna from Landcare Fire Recovery Coordinator Chris Cobern, taken with a remote camera at Kinglake West. 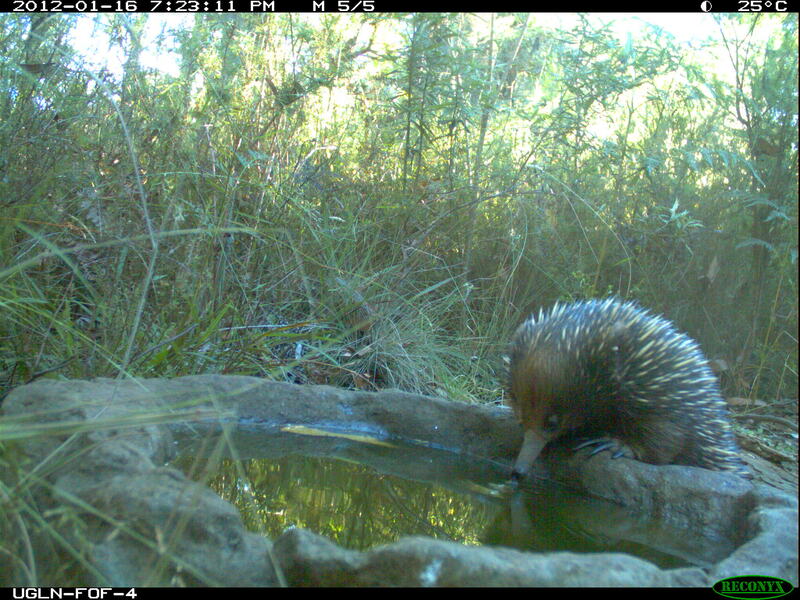 Having taken a dip in the heat of the day, the echidna returned the following day for a drink in the relative cool of the evening. Meanwhile, back at Flowerdale, the possums and gliders continue to regularly visit the bird-bath featured in previous posts, as shown in the following video clip, which may take a few moments to load.